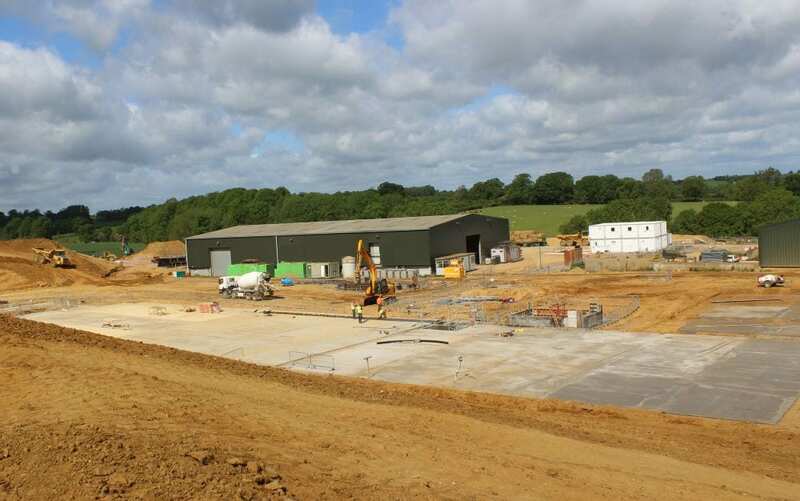 In 2014, GP Planning Ltd successfully secured planning permission for a change of use and extension to a building to house a TAD Facility at Pebble Hall, Theddingworth on behalf of Welland Waste Management Ltd and Advanced Organics. The TAD Facility will treat 36,000 tonnes of oil rich food waste per annum and will produce 4MW of electricity, renewable heat and fertilizer pellets. The TAD is a new form of technology which is very similar to Anaerobic Digestion, but is much more efficient. It recovers 3 times more energy and returns 60% more carbon back to the soil than comparable anaerobic digestion plants. The facility will be housed within an existing building on the site and will continue to look just like other modern farm buildings, but with a small stack. Since the planning application was granted in 2014, the extension has been built, the TAD plant has been successfully installed in the building and the building has been internally clad to make it airtight. The environmental permit has been issued and the developer is hopeful that the facility will be commissioned towards the end of 2017. GP Planning has worked closely with various stakeholders to guide the TAD through the planning system, despite substantial public opposition. Local residents raised concerns relating to odour generated from the food waste. The developer has designed the building to be airtight and kept under negative pressure in order to reduce the risk of odour. A biofilter has also been installed to help neutralize any odour in the air. GP Planning, the landowners and the developers are committed to ensuring that the TAD is built and operated with as little impact on the nearby land uses as possible. GP Planning organise and attend ongoing liaison meetings with local representatives three times a year to ensure that issues can be discussed and proactively managed. This is a positive step to ensuring that the development is implemented in a way that is sensitive to the local environment.